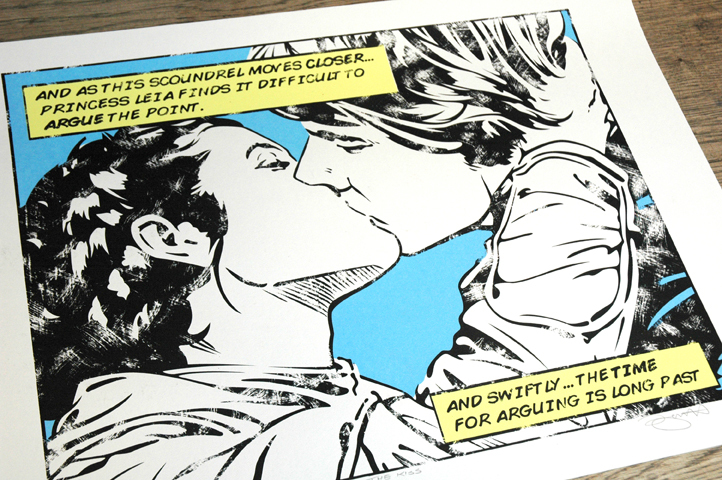 Inspired by the famous scene in Empire Strikes Back when Princess Leia & Han Solo finally kiss! I had previously done a canvas piece based on the same scene but have decided to produce a very limited run of screen prints too. 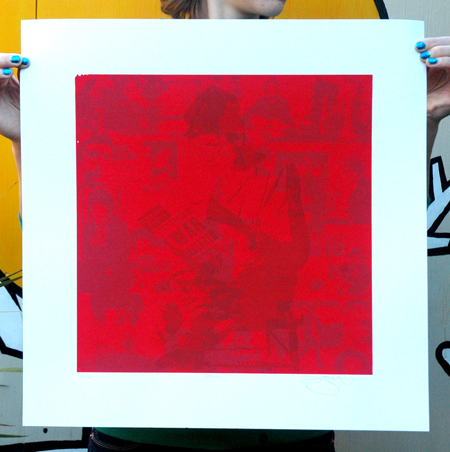 This 3 colour hand pulled screen print measures 42cm x 59cm (approx) and is printed on high quality acid free 270gsm art stock. These signed & numbered prints are strictly limited to 100 copies, so once they’re gone they’re gone! Posted in Prints. Tagged with Blue, Empire Strikes Back, Han Solo, Princess Leia, Romance, Sci-fi, Science Fiction, Star Wars. I was late in discovering Bob Dylan and have to admit in being a bit dismissive early on but I’ve definitely grown to love his songs especially his early work so this is my little tribute to a legendary singer songwriter. Posted in Prints. 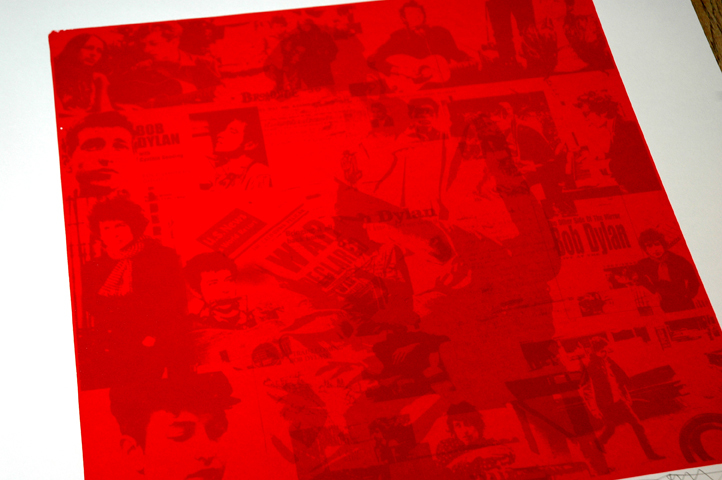 Tagged with Bob Dylan, Folk, Guitar, Music, Red, Rock, The Band.